Ms. Collins devotes her legal practice to the representation of claimants who have been denied short or long term disability or life insurance benefits by their employers or insurance companies. Many of these denied disability claims and life claims are governed by a federal statute known as the Employee Retirement Income Security Act ("ERISA") of 1974. ERISA is a complex federal statutory scheme in which few attorneys choose to specialize, making it difficult for claimants to find an ERISA attorney who is competent to assist them with their claims and obtaining their ERISA disability payments. Ms. Collins specializes in ERISA law and has successfully helped hundreds of claimants obtain their disability and life benefits from their employers and insurance companies including, Unum, Provident, MetLife, Reliance Standard, Aetna, CIGNA, Hartford, Standard and Prudential, among others. Ms. Collins believes that a successful attorney-client relationship requires open and frequent communication between the client and the lawyer. Ms. Collins provides initial consultations without charge and legal services can be performed on a contingency fee basis. 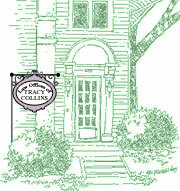 Attorney Tracy Collins has been a practicing litigator for since 1989. She attended Mills College in Oakland, California, graduating with a B.A. Degree in 1983, and attended law school at Loyola Law School in Los Angeles, California, receiving her Juris Doctorate Degree in 1989 and obtaining admittance to the State Bar of California that same year. Ms. Collins is admitted to practice before all of state courts of California, including the U.S. Court of Appeals, Ninth Circuit and the U.S. District Courts for the Central, Southern, Northern and Eastern Districts of California. She is a member of the American Bar Association and the Ventura County Bar Association.